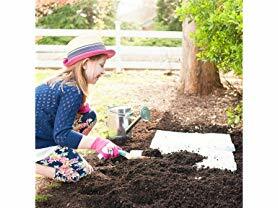 Check out this Roll Out Flower Seed Mat by Gardening4Less $10.99 (Retail $29.99). Instructions for all types: Select a site which receives at least 4-6 hours of sunlight each day and is somewhat protected from the wind. Prepare the soil to a depth of 3"-4" and the same size as the mat. Carefully lay out the mat with "this side up". Cover the mat with no more that 1/8" soil. This will hold the mat down and allow the seeds to easily germinate. For best results, use a commercial sterile potting soil. Soak the mat entirely (preferably using a hose with a fine spray) until the mat is saturated and appears to melt into the soil. Continue to keep the mat moist until the plants are established (2"-3" high). Check daily to ensure the top 1" of soil is moist. After the seeds have sprouted, water as necessary.